Port Washington, named after the first US President, holds one of the largest fishing fleets among the Great Lakes. The reputation of Port Washington fishing charters and their record-breaking Chinook (King) catches lures angling enthusiasts from all over the country. The fishing’s great, and it’s hard to resist the Midwestern hospitality and historic charm of the town. So, what is the secret of this picturesque harbor? Port Washington fishing is nothing short of excellent. 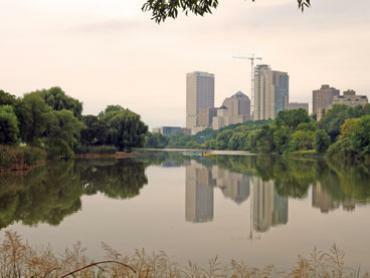 Curled up by seven hills of Lake Michigan, the city is located on the western shore of the lake, Wisconsin side. Here, the lake drops off fast, which eliminates the long travel. It gives boaters less time motoring and more time catching. But what fish are in Lake Michigan? 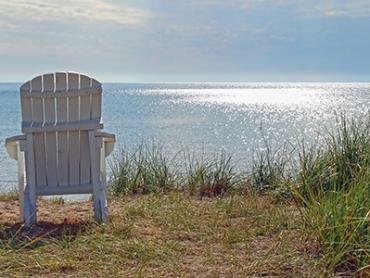 With a wealth of biological diversity, Lake Michigan holds world-class fisheries. 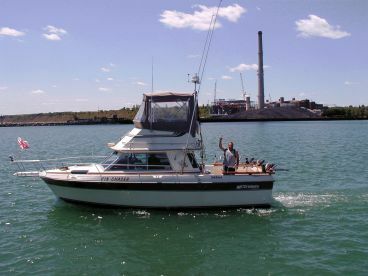 Port Washington fishing charters take anglers of all skill levels to experience one of the greatest assets of the Midwest. You don’t even have to be an experienced professional to thoroughly enjoy the lake. If you crave an offshore adventure but open oceans scare you, Port Washington is the key. Some of the finest Salmon and Trout fishing is within easy reach just outside the breakwaters of the harbor. Fishing in Wisconsin is a seasonal pleasure. The fishing year begins in April, and each spring is different. Will it be Coho or King first? You never know until you try! That said, when the lake’s waters are covered in ice, the bite is still hot. 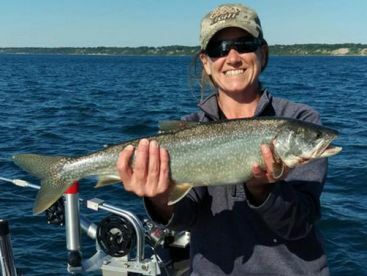 You can target your favorite Trout close to the area’s bays, marinas, and shores. Be careful though - ice-fishing is only safe when you have a professional guide by your side. Before you make the first cast, make sure you have your Wisconsin fishing license with the Great Lakes Salmon and Trout stamp. Port Washington Salmon fishing is something that can easily keep you awake at night. When you’re visualizing your Port Washington fishing charter, you can expect to see Cohos and Kings. These are the lake’s most precious possessions. It comes as no surprise that they are tough fighters. When you manage to land your line-ripping Silver and Chinook Salmon and try them for dinner later, it will surely taste like the victory. 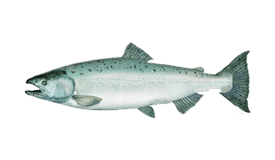 Plus, rumor has it, Pink and Atlantic Salmon can also be spotted patrolling the waters of the lake. Trolling for Salmon with planer boards is the bread and butter technique for the majority of the local anglers. Trout fishing Wisconsin-style requires a good planer plan as well. Target spawning Steelhead with ‘spawn skeins’ and cured eggs tied into bags. When the water is colder, go for ‘body baits’, artificial imitations of prey. Get your bait to the fish with leadercore line if you are a fan of heavy metal. Anglers almost jump with excitement as skyrocketing Steelhead come within range of the fly or spinning rod. Fishing for Trout in the lake is almost like hunting. Perfecting the cast can take decades, and the locations of the ‘honey holes’ is a knowledge that captains pass for generations. Once you locate your Steelhead, they will give you a challenging fight. If you catch it, prepare to run. And don’t be too surprised if they break your lines! 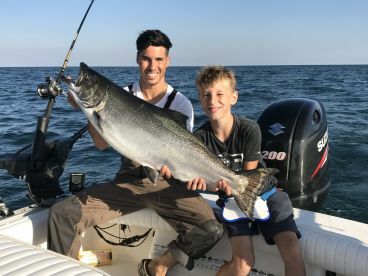 This is why you need a good Port Washington fishing charter to learn how Salmon and Trout fishing should be done. Because of the stiff drop off even a short trip can be productive. But the more time you spend on the water the more different areas you can cover. 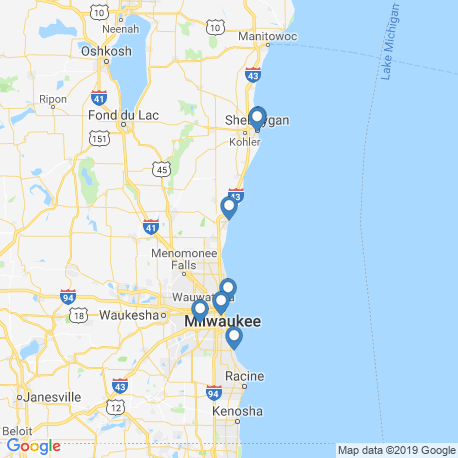 Port Washington charter boats have one of the top Chinook Salmon catches in the whole area of Wisconsin. It’s definitely worth your time! Steelhead are relaxing after the full run, waiting for the spring spawning. If the weather conditions allow, try ice-fishing along the shoreline with a local guide. Trout fishing can be hot even when it’s cold outside. This time of year sees captains and charter boat owners getting ready for the season. Whether it’s a final touch to their boats or vivid dreams about the future catches, the anticipation is strong. Have you booked your spring charter yet? If you are a Spring Steelheading fan, check the spring runoffs in Lake Michigan tributaries. We have news for you - Trout can bite pretty well in the streams! Sometimes it’s not about the numbers, but about the quality, right? The waters are ‘alive’ with the elusive Brown Trout in the shallows that are getting warmer. 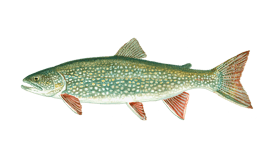 Lake Trout can hang out in the offshore and nearshore waters. Chinooks are about to get in! If you are after a quick limit, lots of Coho, Kings, and Steelhead gather together to jump on your boat. The fishing is about to get rolling. Heavy Brown and Lake Trout are ready to fight in the shallow waters. Catch ‘em and smoke ‘em! Go for an action-packed morning trip for big King Salmon. 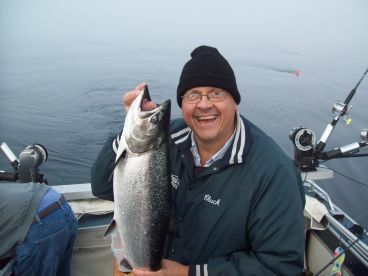 Or even better - get back to shore with a mixed bag of Steelhead, Lake Trout, and Coho. Even though the weather may vary, a large variety of bigger fish is constant. Have you already tried pulling in some nice King Salmon? If you haven’t, you’d better hurry up. The lake’s waters are warm and the fishing is hot. Your trip can easily result in some nice mixed bags of Steelhead, Coho, and Kings. King Salmon are at their trophy size. The pinnacle of the Great Lakes’ food chain is available and you certainly don’t want to miss it. Schools of Steelhead and hauls of Lake Trout can make a great target as well! Explosive Kings shift their attention to Port Washington. If you haven’t taken Chinook off your bucket list, it’s time to head to the harbor. The immature Kings are still offshore, along with good numbers of Steelhead. Troll for large, spawning Lake Trout on the reefs to get something tasty for dinner later. 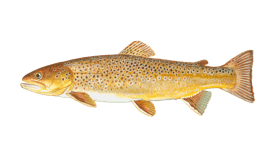 Brown Trout might bite in shallow water. 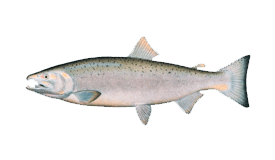 Catches of non-spawning Chinook Salmon and Steelhead are not uncommon, too! There is a chance to get a dose of Trout during this cold month, but most of the boats are out of the water. You can try your luck and fish from the pier for Trout. The lake can get foggy and the sunrises are a fantastic view. The majority of the local captains and guides are busy preparing for the holidays. And you should, too! If the lake’s waters are covered in ice, you can check the bite close to shore. Some guides may take you to the harbor for Trout. Who knows? "Rain didn't keep the fish off the lines!" We had a rainy day, but caught 4 in midAugust. "Morning trip with Captain Alex"
Be patient and be ready. Enjoy the beautiful harbor. 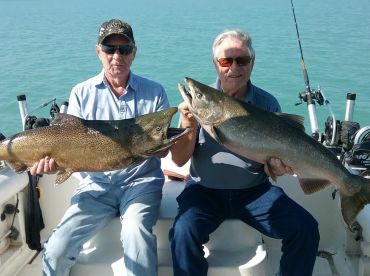 "5hr trip w/Mark Cassidy, Cast-A-Way Charter"
It is a good location close to the Chicago area, but with a feeling that you are really away from city life and in a resort. It was perfect for a 9 year old boy. Don't take dramamine if it is a calm morning.